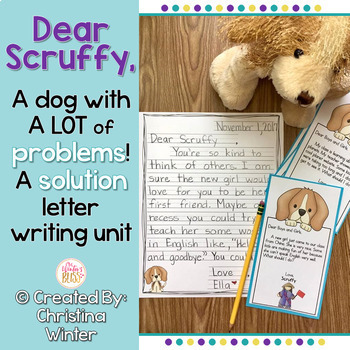 Your students will love writing friendly letters to Scruffy the dog who has lots of problems to be solved! 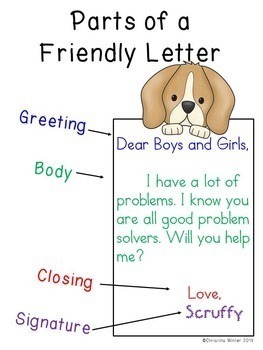 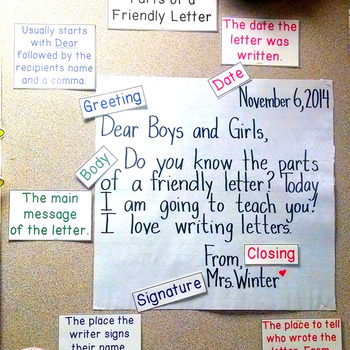 This is a perfect letter writing unit to put in an independent writing center once you teach the parts of a friendly letter (anchor charts included too). 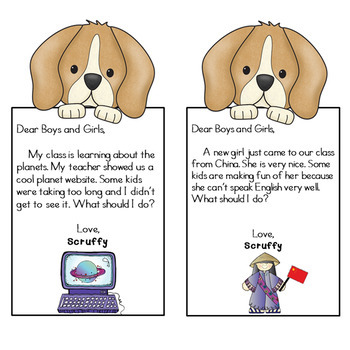 Scruffy has so many problems, your students will use their reasoning skills and have the opportunity to work on writing him letters with endless solutions for many months.